Approximately two weeks ago, a category 4 storm named Hurricane Maria slammed into Puerto Rico and wiped electricity for the island’s 3.4 million inhabitants. So far, only 5 percent of the populace has electricity and 50 percent are still without water. Fortunately, help is on the way. One individual who has pledged to help is Elon Musk, the founder of SpaceX and PayPal and the chief of Tesla. Last week, Tesla shipped hundreds of Powerwall Battery systems to the island. Now, Musk says he can solve the electrical grid crisis by using solar panels and batteries. The tech entrepreneur made this known when he replied to a post questioning whether he could rebuild Puerto Rico’s electrical system. The other islands Musk referred to include Kauai in Hawaii. There, Tesla built a solar energy grid. As Newsweek points out, that island has a population of about 70,000 people, whereas Puerto Rico is in the millions. This isn’t the first time Musk has publicly offered to help a country with an energy crisis. Earlier this year, Musk said he could solve power problems in the state of South Australia in less than 100 days. Part of the stipulation was that he would provide the batteries free of charge if it took longer. An agreement was finally made last month between South Australia, Tesla, and the French wind farm developer Neon. Work on the project is expected to begin soon. When it is completed, it will be the world’s largest lithium ion battery plant. 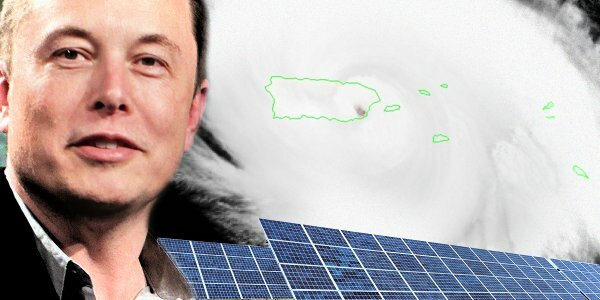 If Musk can tackle Puerto Rico’s energy crisis, the island could be propelled into a hub of sustainability.
? A 360 Degree Audio And Visual Experience Of What It Is Like Living With Autism (Video) It’s Official: McDonald’s Is Testing A New Vegan Burger ?